Adepticon 2019 is over and for Sisters players it was rather disappointing. 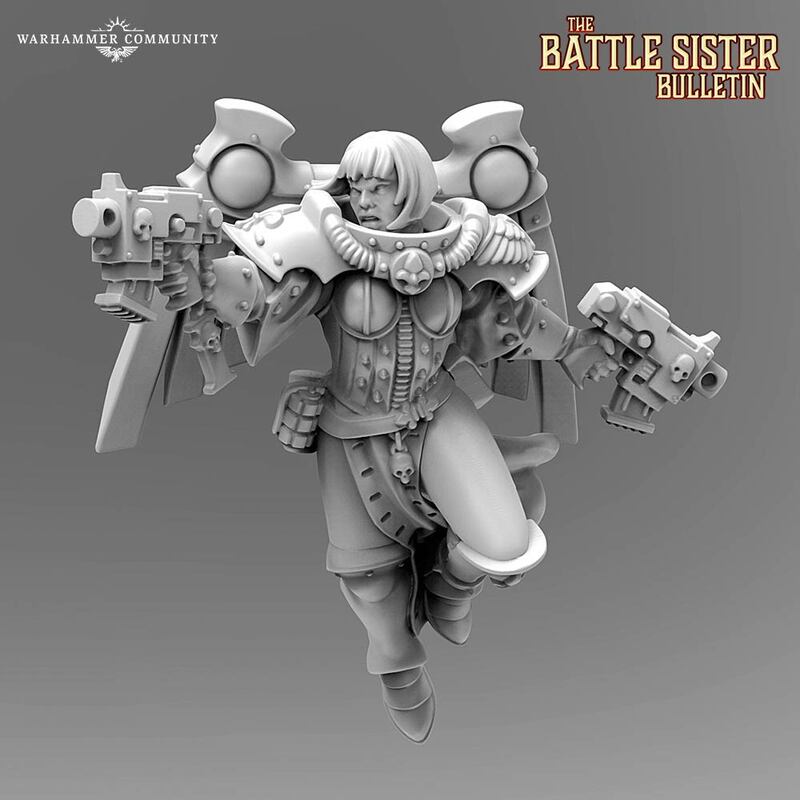 But thanks to GW, we got a nice new Battle Sisters Bulletin – showing off another full render model of a Seraphim! 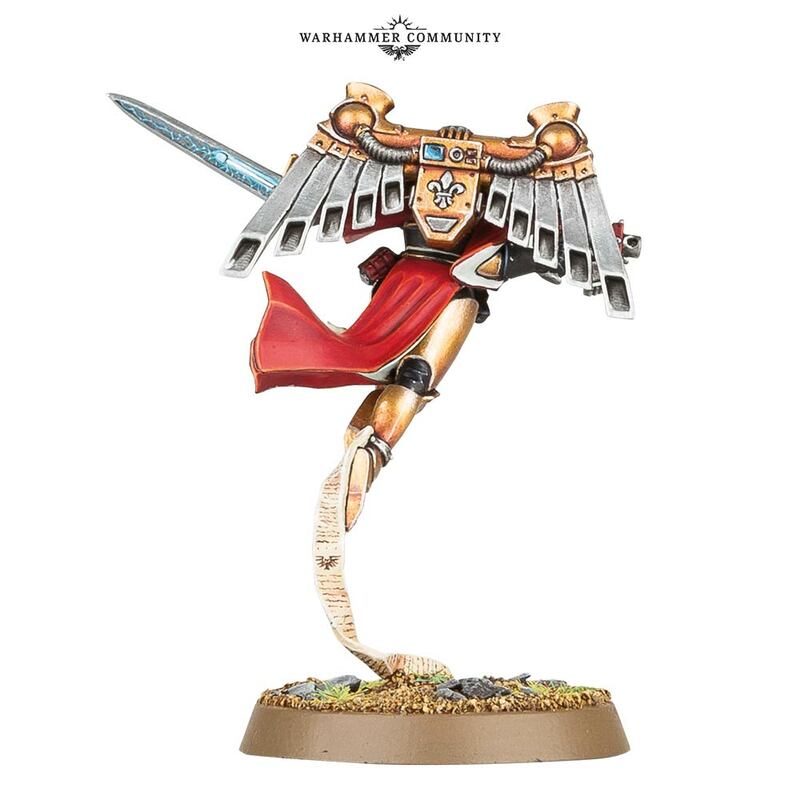 We’re still waiting for a “real” model to gaze upon, but at least GW feeds us another 3D Render preview of their upcoming model range. This time, it’s a glorious Seraphim. Amazing, huh? Advances in miniatures design technology have enabled us to realise the Seraphim in an even more dynamic way than before. The cinematic pose displayed by this miniature is just a sign of things to come! Many of the design cues for the Seraphim miniature have been taken from the Geminae Superia – the sisters Genevieve and Eleanor – who accompany Celestine, the Living Saint. After all, as protectors of a divine being, the Geminae Superia are perhaps the finest exemplars of what it means to be members of the Adepta Sororitas. One notable feature of the Seraphim has always been the stylised hollow wings that serve as the exhaust vents for their ornate jump packs. The design of these jump packs was updated a few years ago for the Geminae Superia, and this has been rolled out to the new Seraphim. The only significant difference between them is that the Seraphim have four ‘feather’ vents on each wing instead of the five that feature on the jump packs of the Geminae Superia. Want to own this miniature for yourself? How about a whole army of them? 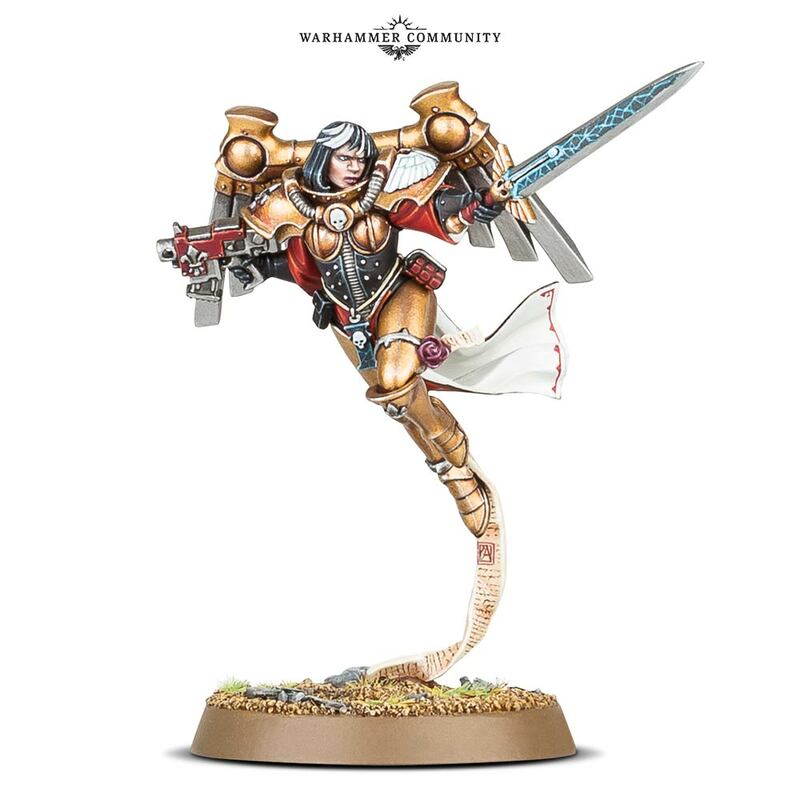 If you read all about the exciting reveals in our Warhammer Preview at AdeptiCon last week, you’ll be aware that by taking part in the Big Community Survey, you will be in with a chance to win an entire (brand-new) Adepta Sororitas army! How cool is that?! Be sure to check back on the 15th of April to join in the survey (don’t worry, we’ll remind you nearer the time). This is a really nice model and I really hope they get some nice helmet options. Like the existing one with the gas mask. It wasn’t a surprise that the wings of the Geminae are re-used and to be honest, why though? They look really nice, even if I still prefer the wings of puppetswar.eu. What I’m really curious about, is how they will be positioned on their bases – will they all be hold by parchments and seals? Only time will tell. That’s it again, only a drop of news, but still enough to keep the hype going.